The defender has committed to two more years at St Mirren Park. St Mirren have announced that defender Darren McGregor has agreed a new contract with the club. McGregor’s current deal was due to expire at the end of this season, at which point he would have been free to sign for other clubs. However, after talks, the 26-year-old has agreed a contract extension through to the summer of 2014. The centre-back damaged the cruciate ligament in his knee in August and has not played since but has returned to training and could be back on first team duty before the end of the season. 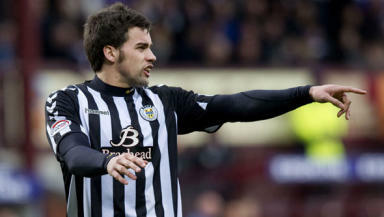 McGregor joined St Mirren from Cowdenbeath in June 2010, following manager Lennon from Central Park to Paisley. He played 42 matches in his debut season with the SPL club but appeared in just three matches this season before injury.